Ever thought about checking out a women’s ski or snowboard camp? Most skiers and snowboarders – male or female – can benefit from a camp or clinic, whether it’s to brush up park skills (or even just acquire some basic park skills) or work on overall form and technique. Doing this in a super supportive all-female environment is, in a word, awesome. Whether you’re a skier or a snowboarder, newbie or expert, there’s plenty to learn at Whistler Blackcomb’s women’s winter camps. Spanning over the course of two days, this camp splits you up into small groups of similarly skilled women who have the same goals as you. The coaches are top notch, and sessions wrap up with beer and nachos – the way to every woman’s heart. Oakley’s Progression Sessions kick off with a little yoga and a make-your-own-goggle bar. And, believe it or not, it only gets better from there. These two-day clinics take place in the spring months, and spots are limited for the ultimate small group experience. Locations will be announced later in the season — last year’s events included Blue Mountain, ON and Lake Louise, AB. If your goal is to perfect your technique in just about every possible condition, check out the Keen Rippin Chix camps. This traveling camp will teach you a thing or two about using the right form and developing the skills needed to slay it on the snow. If you’re reading to take things into the backcountry and want to pick up some serious sled skills, look no further than La Nina Sled Camp. 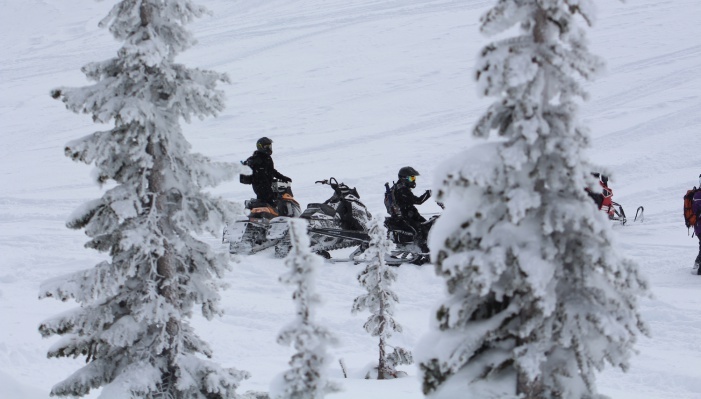 This single day clinic has a 4:1 student/teacher ratio will teach you about the skills, etiquette, and gear needed to get comfortable on a snowmobile in an all-female environment. Intermediate riders can check out the two-day Backcountry Bootcamp or the Spring Jump Camp.